* Support LRC lyrics and ID3 display. * Audio support playback: DIS, MP3, WMA, ACC, OGG, WAV, RA, FLAC, AC3, MP2, AMR, etc. * Video playback support: AVI, MP4, TS, ASF, FLV, PMP, RM, RMVB, MPG formats. 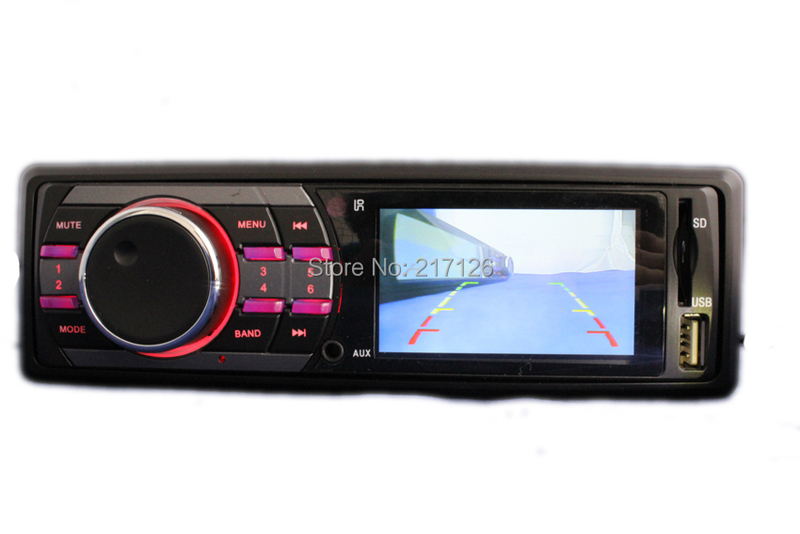 * The machine comes with 4.1-inch (16: 9) High-definition TFT color LCD display,dynamic menu interface. * Support SD / MMC card, high-speed USB2.0 interface is compatible with a variety of U disk, mobile hard disk, etc., hot-swappable. * Card-type full-function remote control. * Full digital servo circuit. * The new processing chipset (CPU), the reaction is faster, more stable, more powerful! * New design modeling, volume adjustment knob. * A variety of sound adjustment (SEL): electronic volume, treble, bass, balance left and right, front and rear sound field. * Loudness switch, Loud bass reverberation aggravated extraordinary! 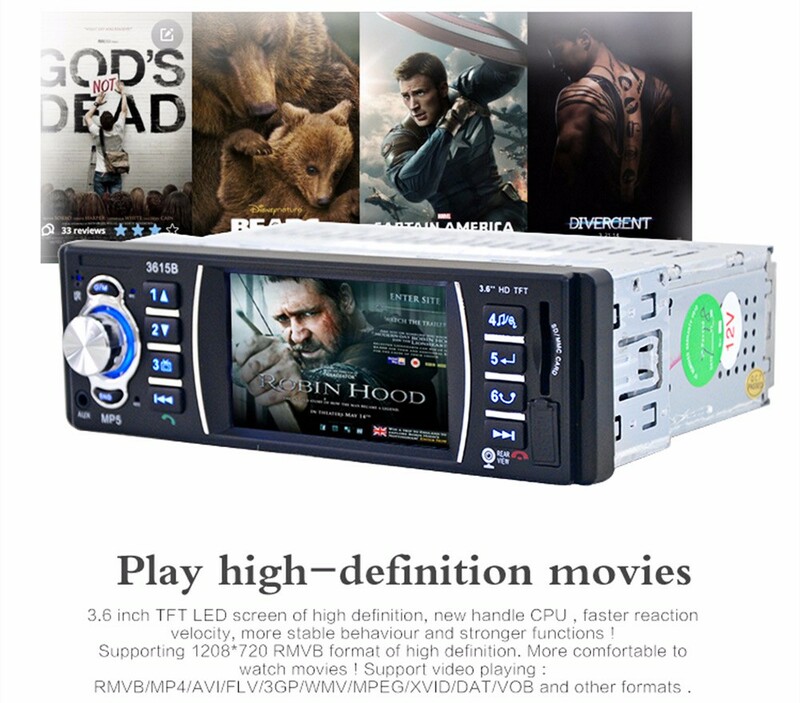 * Full electronic control digital search radio stations, high-performance digital tuning FM radio automatically scans, 18 stations storage. * Large clock display; off the clock display! * Latest Support: Folder play, classified storage, freedom anycast, the display list. * Support menu playback. Calendar. * Track Scan browse audition. * Support random play, repeat all, repeat single, repeat directory. * You can fast forward, rewind, pause playback. 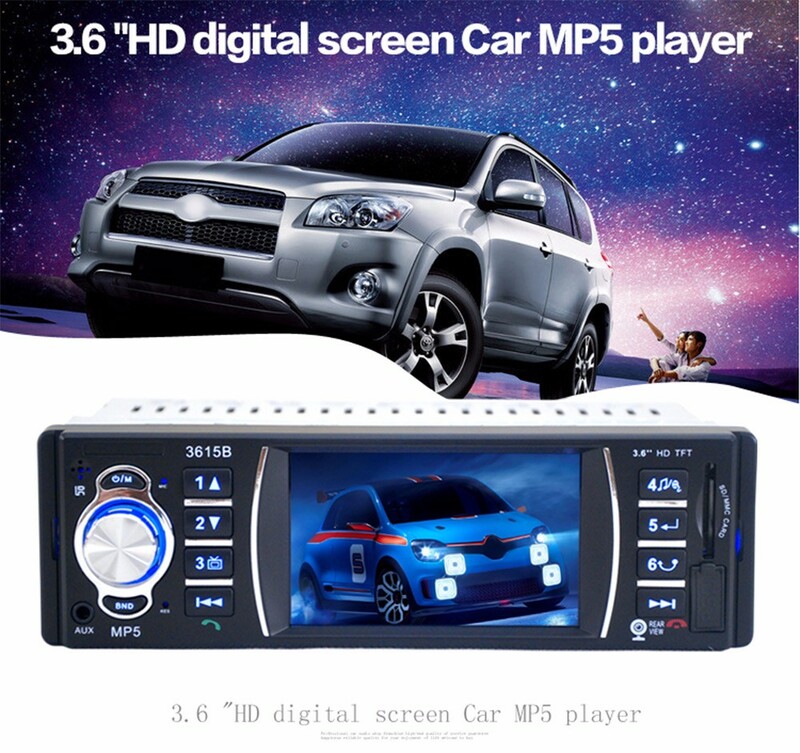 * AUX audio input interface can add MP3, GPS, cell phones, music players and other audio input. * 2-way video output (RCA) AV video output external monitor. Support CVBS video output. * 2 audio outputs (RCA) can be connected amplifier, connect the subwoofer. * Four-channel high power output 4 * 50W high performance amplifier ICTDA7388; 24V for 7265. * Full Machine SMT, AI automatic equipment production. * Special thickened cooling system.